A few months ago, Camila reviewed a lovely origami app for kids called Paper Ocean, which provides step-by-step instructions for making paper aquatic animals. Today, I want to highlight Let’s Fold Collection, a different kind of origami app that challenges players to figure out how to fold various paper animals on their own. It includes 26 origami puzzles with increasing difficulty. In Let’s Fold Collection, players need to fold the origami paper to match the shapes marked by the white dotted line. The first level of Let’s Fold introduces players to the gameplay. Here, you are asked to drag one corner of the origami paper to another to create a fold. You can create a fold of any size, form, or direction; simply hold your finger until you have the perfect fold. If you’re not satisfied with the fold, just tap on the Undo button. Each level challenges you to build a specific character following the white dotted line. You can fold the origami paper however you like to achieve the result, but keep in mind that you get a limited number of folds. If you are unable to solve a puzzle in that constraint, you can tap on the retry button to start from the beginning. When you complete a puzzle, the game will score your effort. You should always aim for 100% perfect shape, because you only unlock the next levels after solving the first nine perfectly. Let’s Fold Collection is a tricky puzzle game, but it is playable by kids ages 4 and up. The controls are intuitive, requiring little effort to master. Players who fear getting stuck at the puzzles should not worry because the game allows unlimited undo and reset; you can replay a level over and over again until you can solve it. The app also provides three free hints to reveal one folding move each. 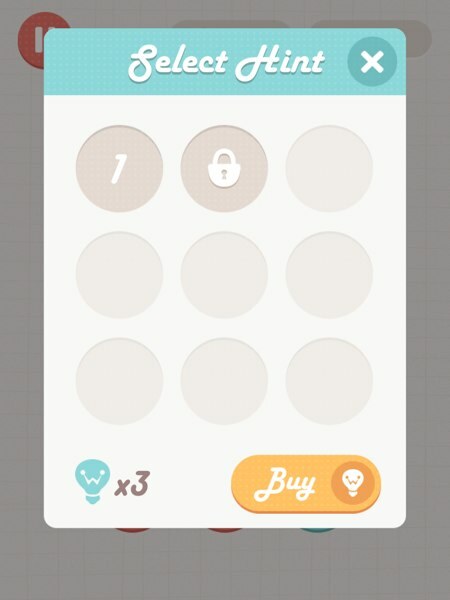 If you really need to, you can purchase additional hints from within the app. However, I’d argue that most players would be able complete the levels without having to use the hints. Let’s Play is free to download and play. When you complete all nine levels perfectly, you can unlock another set of nine levels. The current version of Let’s Fold Collection includes 26 innovative origami puzzles. Some puzzles are trickier than others because you get limited folds. To get a perfect score, you will have to master precise folding gestures. If your kids love origami and coloring, this app should provide you with inspiration for your next parent/child activity. One thing I especially enjoy about the app is the nice background music that doesn’t annoy you when you’re playing for a long time. Let’s Fold provides you with three hints to start, and you can buy more hints via in-app purchase. Let’s Fold Collection is a fun origami puzzle game for kids ages 4+ who loves to challenge themselves. The game is easy to play but challenging to master, thus it has high replay value. It also has a wide selection of colorful origami characters that you can use as a source of inspiration for your next parent/child activity.